So I finally gave in and the kids put out a Christmas tree – well sort of. The kids drew a Christmas tree onto our sliding doors. I love having child-made Christmas goodies in the house. Last night the tree on our sliding door and the Christmas Luminaries really gave the room a lovely festive feeling. 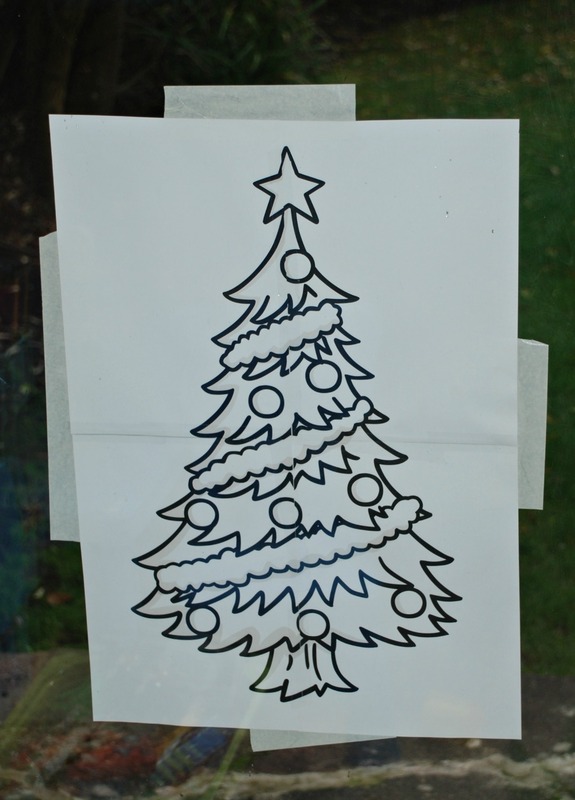 We used the Extra Large Christmas tree outline which is FREE to download from Twinkl (you just need to set up a free account) and I taped it onto the outside of our sliding doors. Then the kids traced over the outline with their STABILO 3-in-1 pencils. In case you missed my earlier posts about using these pencils on glass they wipe off afterwards so they are great for letting little artists draw onto windows and sliding doors. 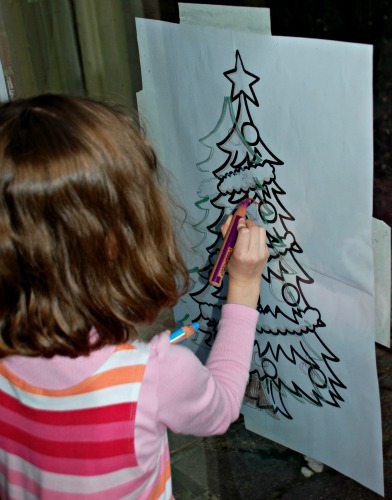 I really like doing this type of activity with the kids as my youngest always joins in with the tracing and it is excellent for the kids to draw with their arms raised like this (one of the things that my son’s Occupational Therapist is always telling us to do at home). pencils as not only do they wipe off glass nicely but they are nice and thick for younger ones still getting their pencil grips right. We have also used them on laminated learning pages, glass bottles , cardboard boxes and if you dip them in water they become water-colour pencils. I think they would make a great Christmas pressie for a little artist. 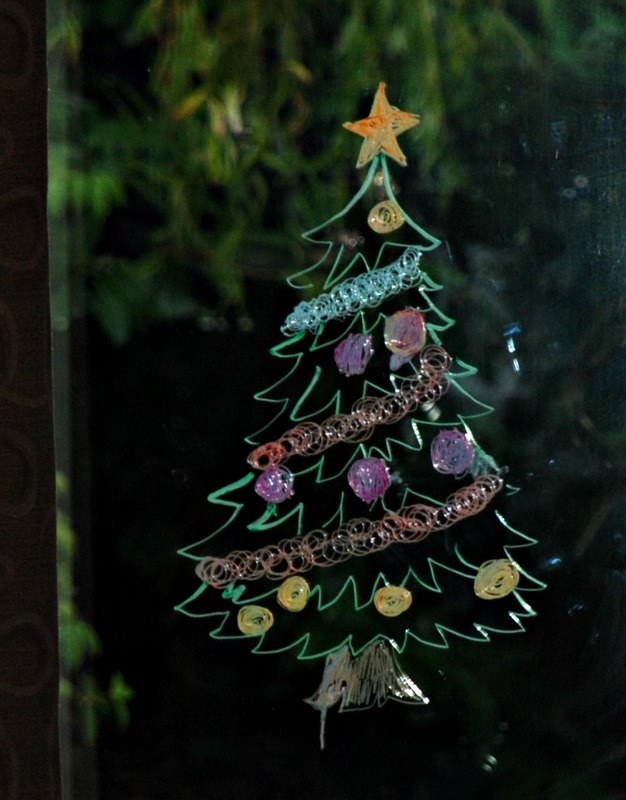 This entry was posted in Art and Craft Ideas and tagged children's craft, Christmas ideas, christmas tree, free printables, homeschooling, STABILO 3-in-1, Twinkl. Bookmark the permalink.